Is anyone excited about the Real Housewives of Washington DC? Anyone? 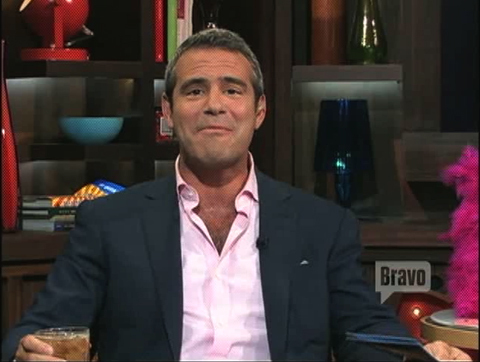 Andy Cohen is! Just look at him… he can barely contain himself! But then again, he’s excited about everything… especially since he’s got a full glass of whiskey his side every time he does his show, Watch What Happens, on BravoTV. How do we get that job??? Mai Abdo: Wife of Jim Abdo of Abdo Development, mother of two, and a regular on Washington’s Best-Dressed list. Mary Schmidt Amons: Mother of five, and founder of the famous District Sample Sale. Michaela Salahi: Former model, and wife of Tareq Salahi who founded the America’s Polo Cup. Lisa Wernick Spies: Wife of famous Republican fundraiser Charlie Spies. Are you excited about the DC Housewives? Or do you need to have a drink with Andy first? Is it us? Or does Danielle look like the Evil Queen from Snow White?